There are three runoff surfaces on a SWMM5 Subcatchment: Impervious with depression storage, Impervious without depression storage and pervious area with depression storage (Figure 1). 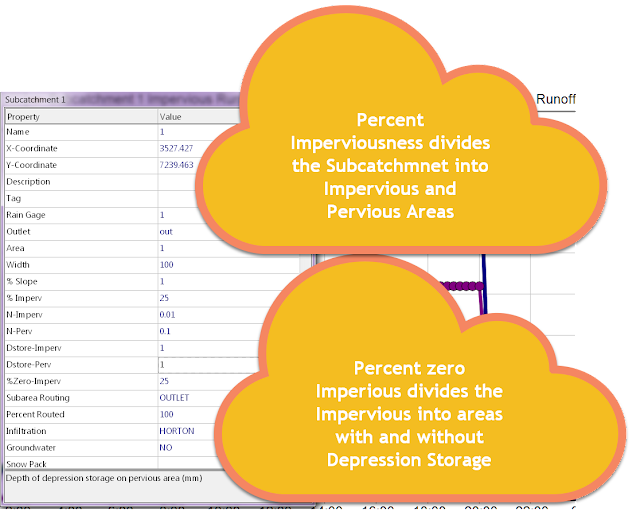 The depression storage can be zero in all cases. 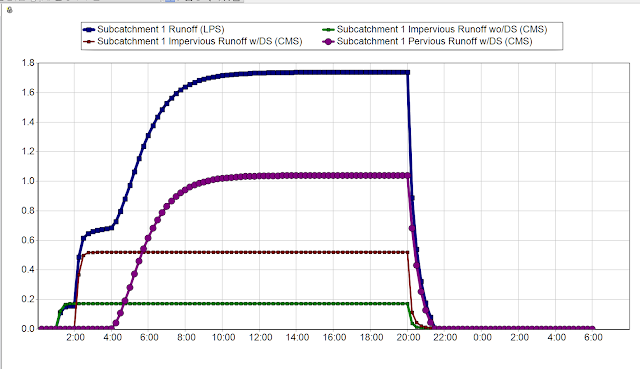 You can see the flow from all three areas (Figure 2). 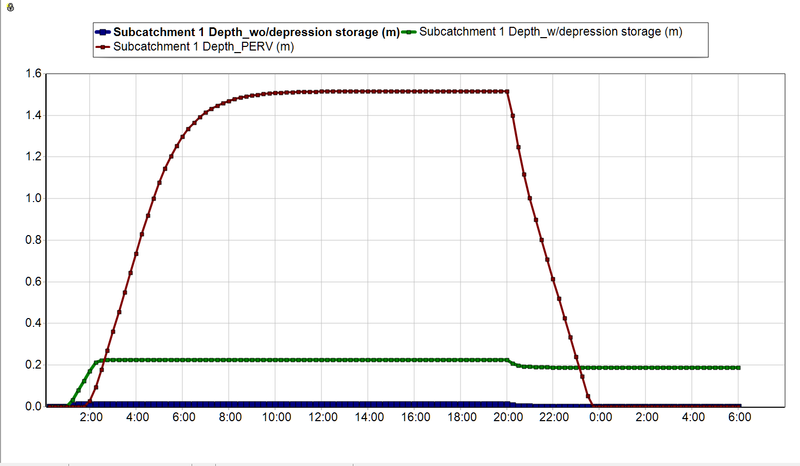 If you look at the following graph the flow in the impervious and pervious area with depression storage is delayed as the depth in the area has to increase enough to reach the depression storage as you can see in Figure 3-2 from the EPA Manual. 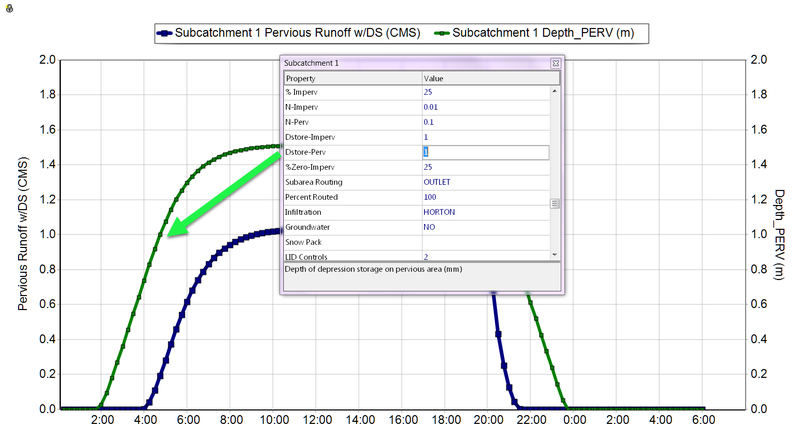 You can see the depth from all three areas (Figure 3). 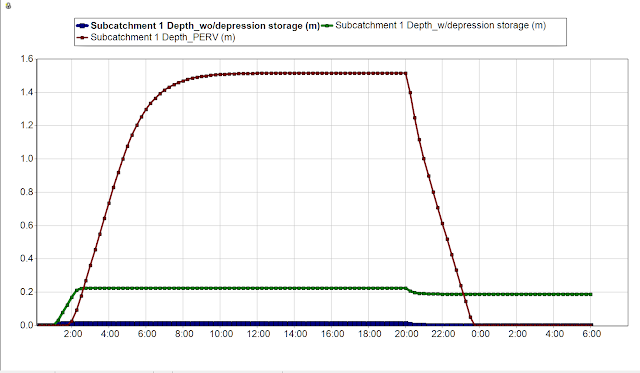 If you look at the following graph the flow in the impervious and pervious area with depression storage is greater than the depth in the impervious area with depression storage as the runoff commences right away in the area without depression storage. 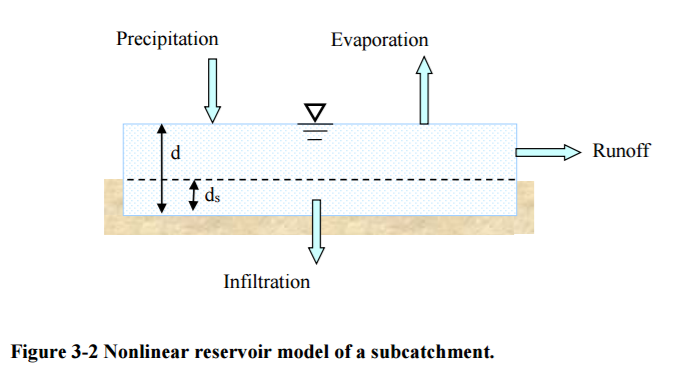 In Figure 4 you can see the Runoff from the Pervious area does not occur until the depth in the pervious area is greater than the depression storage of 1 inches. 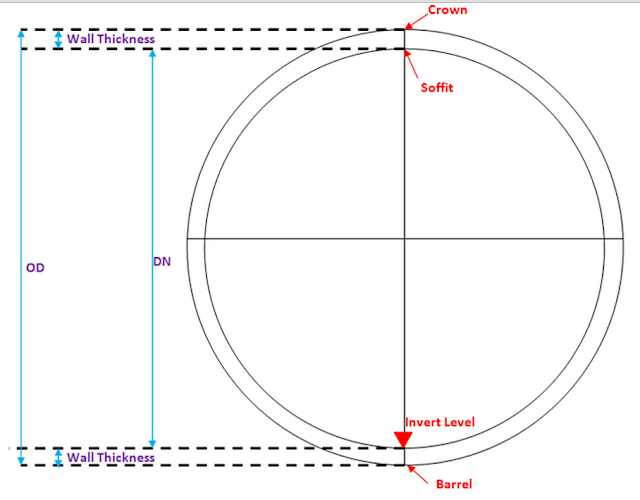 (pipe technology)The top point of the inside open section of a pipe or box conduit. The soffit is the highest point of the internal surface of a pipe or culvert at any cross-section. The soffit is also referred to as the pipe obvert. So it is not quite the Crown of the Pipe. Here is an image I found that hopefully explains it better.